Our latest collection of hate quotes to help you alleviate this darkness. Hatred is a feeling that everyone has experienced at some point in their lives. It’s easy to feel hateful especially if you’ve been betrayed or hurt by someone you trusted. Hate is a profound emotion that can pollute your spirit and poison your soul. If you have hate in your life, you probably know how damaging and mind-consuming it can become. It weakens you emotionally and can affect your body’s organs and natural processes. Although it’s human nature to feel hate, you shouldn’t late your emotions get the best of you. When you begin to feel hateful thoughts, consciously challenge them and replace them with calmer rational thoughts. Understand why you’re feeling hate and find a solution to the problem. Besides, you can talk to someone you trust to help alleviate the negative feelings. Below you’ll find our collection of inspirational, profound and helpful hate quotes, hate sayings, and hate proverbs, collected from a variety of sources over the years. 1.) ”We must develop and maintain the capacity to forgive. He who is devoid of the power to forgive is devoid of the power to love. There is some good in the worst of us and some evil in the best of us. When we discover this, we are less prone to hate our enemies.”- Martin Luther King, Jr. 3.) ”Darkness cannot drive out darkness; only light can do that. Hate cannot drive out hate; only love can do that.” – Martin Luther King, Jr. 10.) ”Have we not come to such an impasse in the modern world that we must love our enemies – or else? The chain reaction of evil – hate begetting hate, wars producing more wars – must be broken, or else we shall be plunged into the dark abyss of annihilation.”- Martin Luther King, Jr. 33.) ”Anger is like flowing water; there’s nothing wrong with it as long as you let it flow. 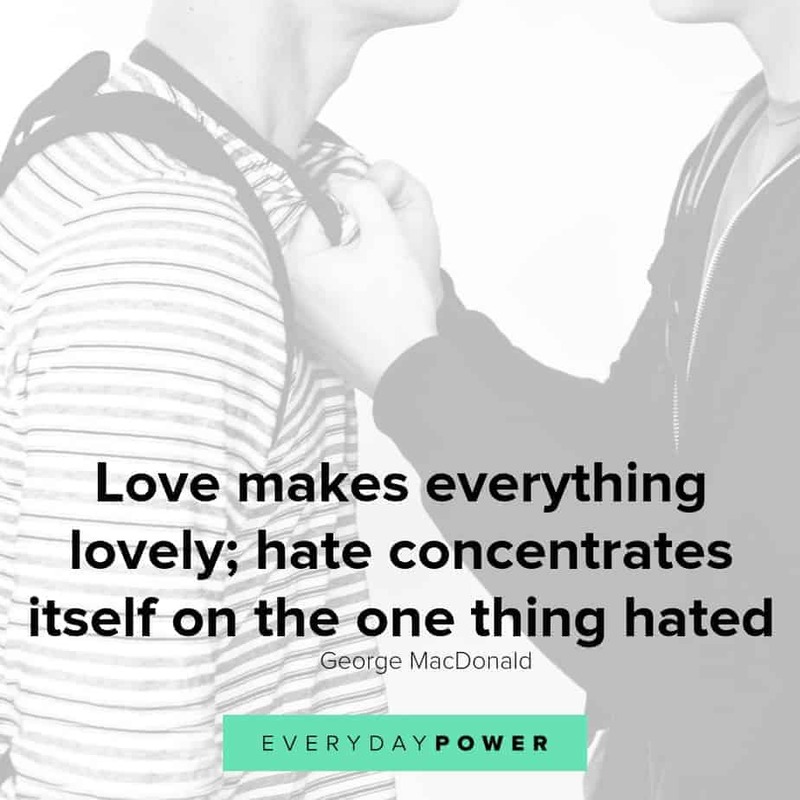 Hate is like stagnant water; anger that you denied yourself the freedom to feel, the freedom to flow; water that you gathered in one place and left to forget. Stagnant water becomes dirty, stinky, disease-ridden, poisonous, deadly; that is your hate. On flowing water travels little paper boats; paper boats of forgiveness. Allow yourself to feel anger, allow your waters to flow, along with all the paper boats of forgiveness. Be human.” – C. JoyBell C.
Did you find these hate quotes helpful? Hate is something we all feel and experience and some point in our lives. However, you can address this negative feeling before it drains your spirit and tarnishes your soul. When you’re confronted by irrational hateful thoughts, you can either let them consume you, or you can challenge them with positive feelings. Hopefully, the above quotes will help you address this darkness and let the sunshine shine again. 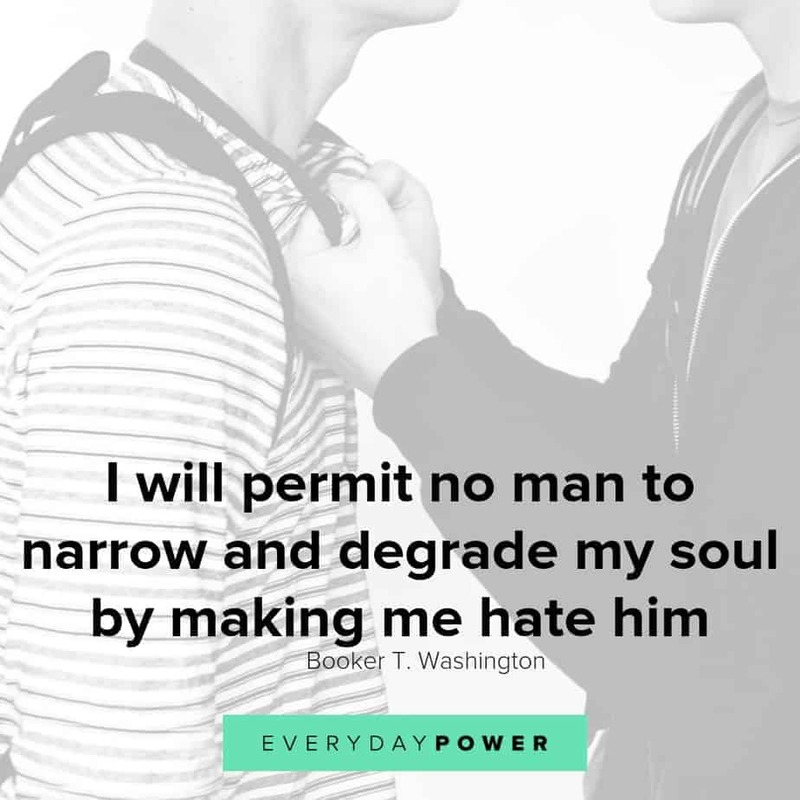 Did you find these hate quotes helpful? Do you have any other favorite quotes to add to the list? Tell us in the comment section below. 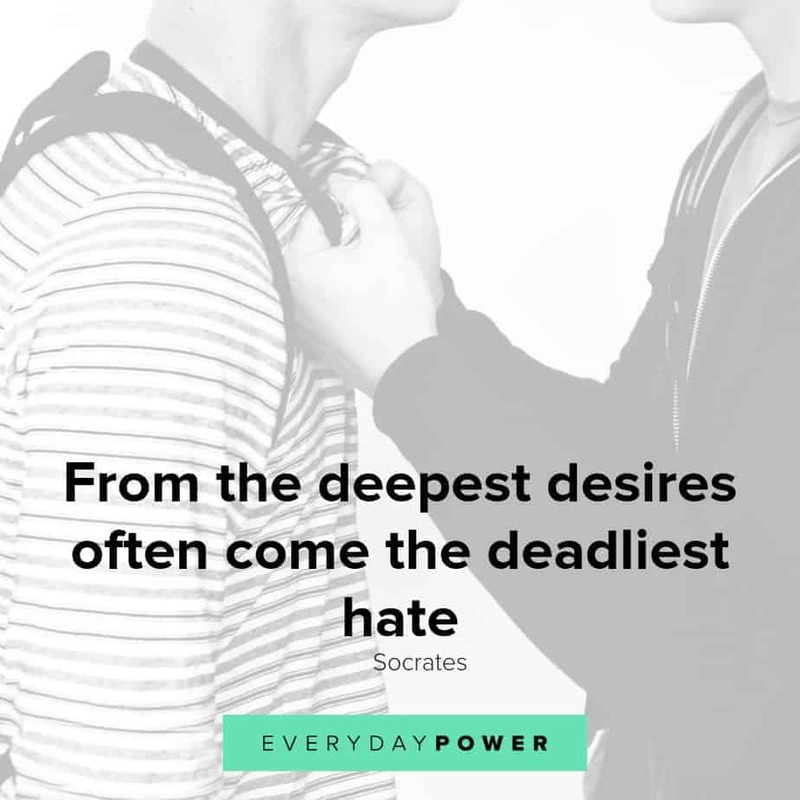 The post 50 Hate Quotes on the Dark Side of Human Nature appeared first on Everyday Power Blog.